With a stay at Eresin Hotels Taxim Premier in Istanbul (Taksim), you'll be a 4-minute walk from Taksim Square and 6 minutes by foot from Istiklal Avenue. 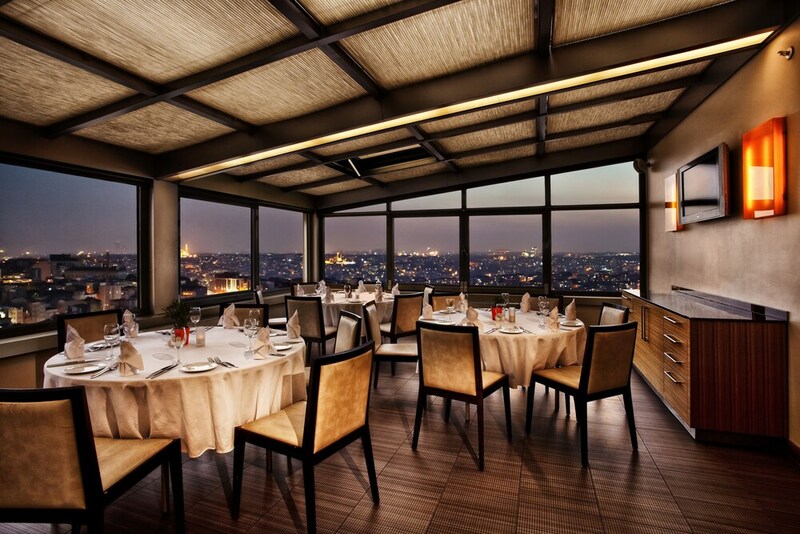 This 4-star hotel is 1 mi (1.6 km) from Dolmabahce Palace and 1.5 mi (2.5 km) from Galata Tower. Make yourself at home in one of the 67 air-conditioned rooms featuring minibars and DVD players. LCD televisions with satellite programming provide entertainment, while complimentary wireless Internet access keeps you connected. Private bathrooms with shower/tub combinations feature jetted bathtubs and complimentary toiletries. Conveniences include safes and desks, and housekeeping is provided daily. Take advantage of recreational opportunities offered, including an indoor pool, a sauna, and a fitness center. This hotel also features complimentary wireless Internet access, concierge services, and wedding services. Featured amenities include a business center, limo/town car service, and dry cleaning/laundry services. Planning an event in Istanbul? This hotel has facilities measuring 280 square feet (26 square meters), including conference space. A roundtrip airport shuttle is provided for a surcharge (available on request).